WASHINGTON – Investors may be ignoring the risk that financial conditions could tighten sharply and send tremors through the global economy, the International Monetary Fund warned. Short-term risks to global financial stability have increased “modestly,” the Washington-based lender said. Interest rates remain low by historical standards, and financial conditions are still supporting growth, it said. Still, the fund highlighted a number of markets where valuations are getting stretched, most notably in the American stock market. U.S. equities have risen “well beyond” the valuations they enjoyed before the global financial crisis, the IMF said. A bull run has taken U.S. equities to record highs this year. Meanwhile, market volatility appears too low, and spreads on high-yield corporate bonds are close to historical lows, according to the fund. And, according to the IMF, housing prices appear frothy in several advanced economies, including Australia and Canada as well as Nordic nations. 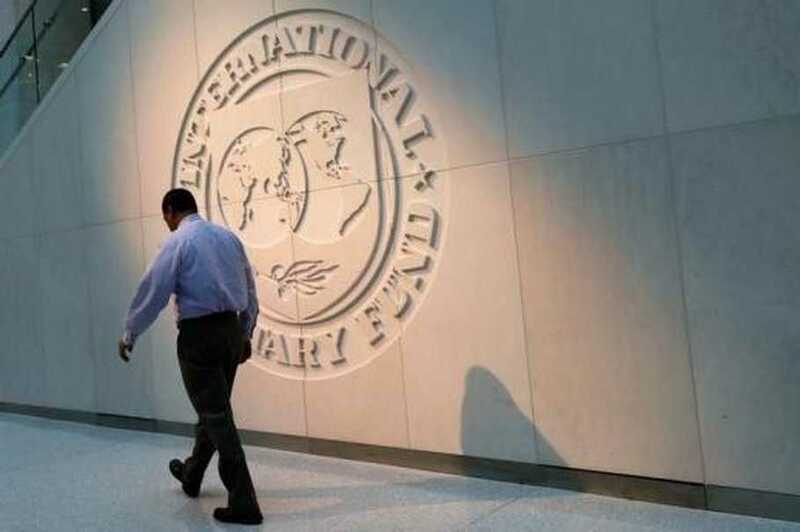 “In some advanced economies, some investors have grown overly confident and even possibly even complacent,” Tobias Adrian, director of the IMF’s monetary and capital-markets department, told reporters in Washington before the release of the report. But markets have been on edge of late. The S&amp;P 500 fell for the fourth straight day Tuesday while the Cboe Volatility Index, also known as the VIX or Wall Street’s fear gauge, neared 16, exceeding this year’s average. The fund’s warning comes on the 10th anniversary of the collapse of Lehman Brothers, which plunged the world deeper into financial crisis and helped trigger the worst recession since the Great Depression. While the banking system is stronger now, new risks have emerged, and “the resilience of the global financial system has yet to be tested,” the IMF said. It warned countries that it would be a mistake to roll back regulations put in place after the crisis. The IMF notes that credit conditions in emerging markets have tightened since mid-April, driven by a stronger U.S. dollar, escalating trade tensions, and political and policy risks unique to individual countries. Argentina is borrowing as much as $57 billion from the IMF, the largest in the fund’s history, to stem the nation’s currency crisis. The Turkish lira plunged as investors questioned the ability of Recep Erdogan’s administration to contain inflation. Overall risks in emerging markets remain “moderate compared with historical levels,” according to the IMF. Still, debt has continued to rise, and conditions will “likely remain challenging” as central banks in advanced economies raise interest rates, it said. There’s a 5 percent probability that emerging markets other than China could face debt-market outflows of at least $100 billion, on par with the capital flight during the financial crisis, the IMF said. In China, corporate debt has risen to levels “well above global historical benchmarks,” while the rapid pace of household debt is concerning, according to the fund. The IMF notes that the market impact of escalating trade disputes has been limited to specific sectors. “Should market participants start pricing in the possibility of protracted trade tensions, financial conditions could tighten significantly, increasing the tail risk to global growth and financial stability,” the IMF said.